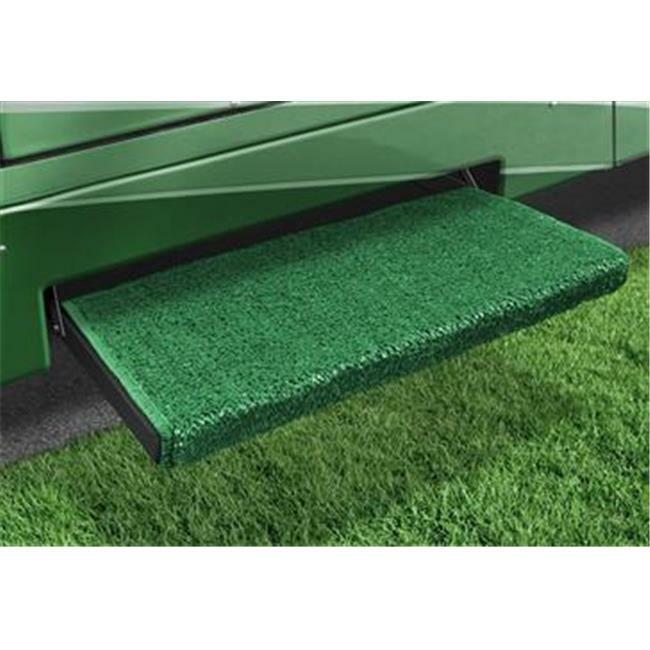 Jumbo Wraparound+Plus RV Step Rugs from Prest-O-Fit protect your interior while accenting your exterior. Each durable, weather-resistant rug is made of easy-to-clean outdoor turf with marine backing. Finished on all edges to prevent fraying. These rugs are very easy to install, fitting most manual and electric steps with the springs that are included. They can easily be removed and reattached as needed.